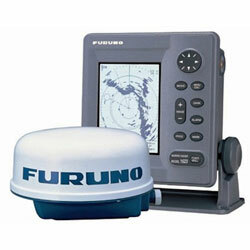 Small in size, the Furuno 1623 LCD Radar Systemis big on power, clarity and advanced radar features. The slim-line monochrome LCD display and lightweight radome antenna make it ideal for power or sail boats as small as 17 feet. Notes * Appropriate Nav Data Input Required. Accepts Connectors Up 1.57" / Cables From 0.47"-0.59"